Diamond BCP1 Bass Compressor - Excellent Condition! Guitar Pedals and Effects > Diamond BCP1 Bass Compressor - Excellent Condition! If you've been looking for a bass compressor to get the sound you've been needing, then this is the one! This pedal is in EXCELLENT condition and already has dual lock on the back and is ready to go on your board! This pedal does not have the original box. 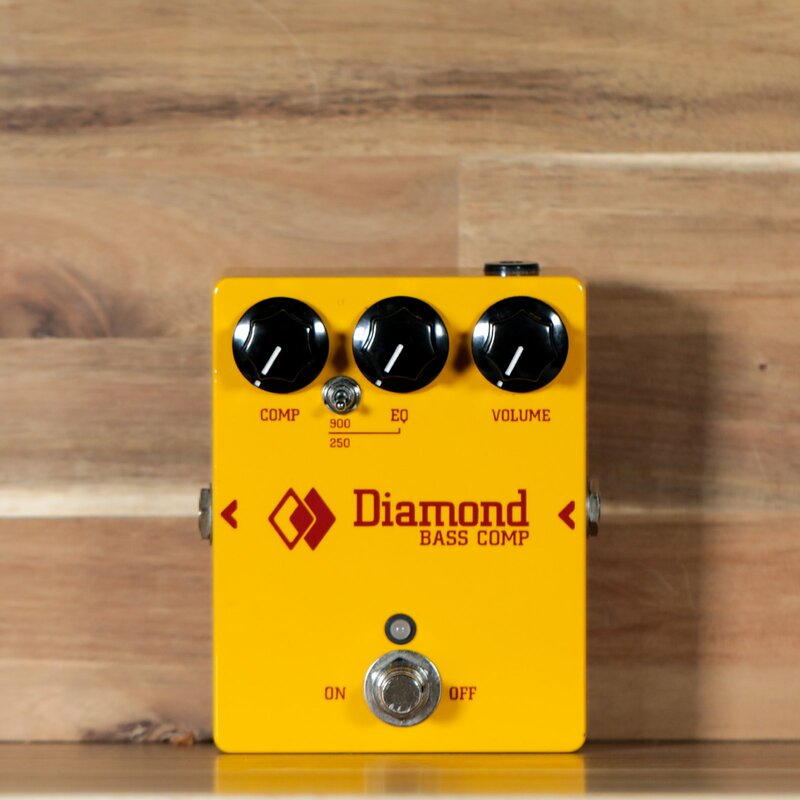 The original Diamond Compressor has become one of our most well known products, loved by players for it’s smooth response and ability to enhance your instruments tone. Turns out that bass players have discovered the Compressor (many via it’s discussion on the TalkBass online forums) and while it generally works great for 4-string passive basses, the performance with 5/6 strings and high output active basses was less than ideal as the frequency response and headroom was optimized for guitar use. Our response to that interest is the new dedicated Bass Comp, the first Diamond pedal designed specifically for bass players. With low frequency response extending down to 20Hz and increased headroom, the Bass Compressor is ideal for 4/5/6 string basses, both active and passive. We’ve also revoiced the Tilt EQ control, offering bassists the choice of the original 900Hz tilt point or a new 250Hz setting, accessible via a mini toggle. what the industry norm uses).